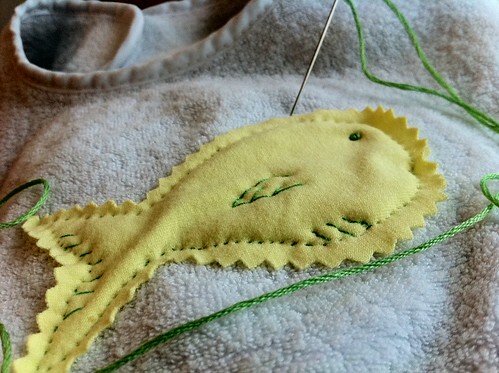 Embroidery is one of my favorite textile arts because it can be added to just about anything for a personal touch. Some other reasons to love a little embroidery in your life and textiles is that it gives it a handmade appearance or vintage feel and the supplies don’t take up much space. This entry was posted in Sewing | Embroidery, Tutorials | Patterns and tagged embroidery, how to.